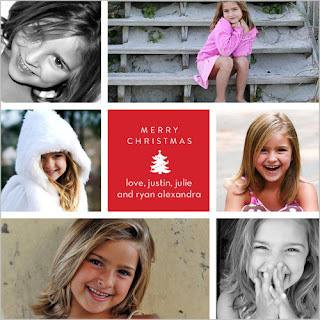 Just 1 Step: Christmas cards!! The Christmas season is quickly approaching!! 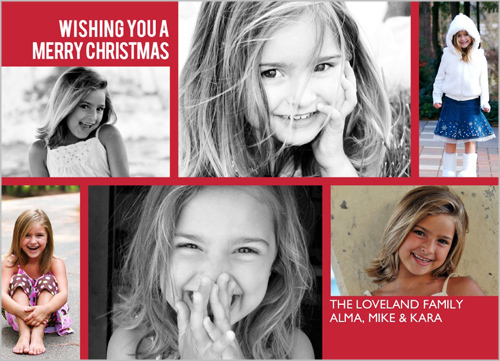 And with Christmastime comes Christmas cards. Although I bowed out and failed to send them last year, I feel somewhat obligated to send out cards this season, given we have a new addition to our family. I want the card to actually say "Merry Christmas", so I guess that sort of eliminates the first card, although I really like the light blue. After that I'll choose one based on how well our pictures fit into the picture slots. Attempting to take family pictures with Krew today was...entertaining...so I am sort of limited in my photo selection. :) I actually really like this card, also, because it allows you to add extra words and tell a little bit about your family. Ah, decisions, decisions! I like the 2nd to last one! I'm lazy and never do holiday cards and I should since we have 2 kiddos now..the last time I did them we didn't have any children! It's the postage that steers me away! However, I'm a hypocrite in that regards because I LOVE to receive them and the last few Christmases haven't gotten many...maybe I should start sending them again! 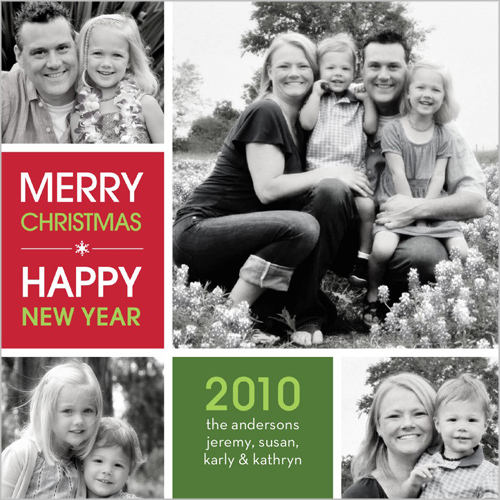 I haven't used Shutterfly--I've used Snapfish, but got a catalog for Shutterfly and love their card designs! you should post your finished card online when it's done! deals for bloggers? do tell. i love shutterfly. quality-wise there are some that are better, but customer service is the best, and delivery is quick. I like the last card. We used to love Shutterfly and the thought of 50 free cards is cool. But, we've been using Send Out Cards for a year now and are actually MAKING money by sending cards through them and helping others send cards through them (and making money themselves). Send Out Cards is fully customizable and allows you to use as many pictures as you want, send out personalized cards in your own handwriting and with your own signature right from your computer and you can send gifts this way, too! I'm happy to give you and your readers a couple of free Send Out Cards to send out as an early holiday gift to you all. Just go to www.sendoutcards.com/gradea to send out a card or two on me.